I am Shyam Kumar. I appeared for placement at NIT college and Fiorano visited our campus for placement. I am sharing my Fiorano interview questions and placement experience. There were 60 questions in Fiorano online test. 75 minutes has been allotted for the test. It includes questions from programming concept, coding and core computer science subjects. There were some questions from aptitude section. To prepare for aptitude section, follow these 13 best aptitude test preparation tips. It will help you to solve aptitude questions from Fiorano online test. Programming and coding section include questions on basic C and JAVA. Technical question was covered from core computer science subject likes Operating System, Database and Management System and Data Structure. Note: To crack Fiorano software online test, there is no need for special kind of preparation. Do focus on C and JAVA. 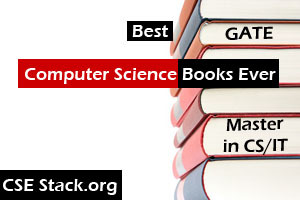 Go through all the basic concept of core computer science subjects. You can check out some C coding questions for practice. Shortlisted candidates from written test were eligible for next rounds of interviews. For me, there was two round for Fiorano interview questions. Write a code for Fibonacci number series using recursion. How to implement hashing using an array? Tell me about Binary tree traversal. What is binary search tree and how does BST tree differ from the normal tree? Prove: Suppose there is a given number which is divisible by 3. Prove that Sum of digits of a given number is always divisible by 3. What is the difference between call by value and call by address? Write a simple program to demonstrate call by value and call by address. In a second interview, an interviewer asked to write code related to string implementation and Linked list data structure. Write a code to find all the permutation of a given string. Write a code to find all the combination of a given string. Write a code to check if the string is palindrome or not. After deep discussion on the string, an interviewer moved to Linked List Data Structure and asked some coding questions. You have given a Linked List. Write a code to duplicate Linked List. You have given Linked List and one number. How can you find the position of a given element in a Linked List? This is simple as searching elements in Linked List. But the more efficient solution is expected. How to find duplicate elements in the Linked List? For me, there was no HR round. If you have HR round, I suggest you go through its Fiorano official website and find about the company, their work and domain. It will help you in HR round. Remember, the way you mention the company in your interview, it shows your interest in the company. Hope this is helpful for you. If you any question, feel free to ask me in comment section bellow. Thank you, Shyam Kumar, for sharing Interview Questions and your experience about Fiorano placement. We wish you all the best for your future. I am looking for the job in Fiorano. I have experience of 3+ years working in MNC. You can follow their company’s career page – http://www.fiorano.com/company/careers for opportunities available for experienced candidates.